Firstly, most people don’t regularly maintain their guttering and only address gutter repair problems as and when they arise. With guttering up high, it is not easy to see problems as they unfold, until it’s too late. Ideally, homeowners and commercial property owners should make regular maintenance checks on the quality of the guttering, to ensure all seals are intact and debris is not causing blockages or damage. But not everyone has the time to do these things, and let’s face it, out of sight, out of mind. 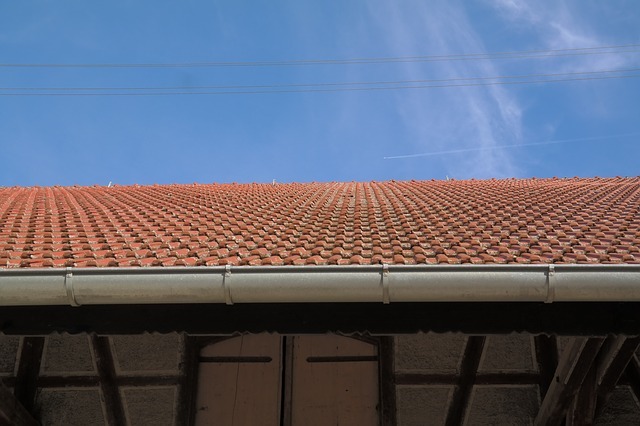 Secondly, guttering problems can occur when the correct materials and sealants are not used – or making-do with quick fixes that can’t stand up to the full four seasons. 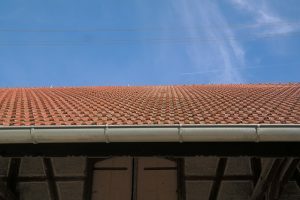 Rawlins Paints are going to show you ways to employ quality guttering fixes, and we’ll even provide a few very handy tips along the way – and don’t forget, if you have any questions, you can post a comment at the end of this ‘Gutter Repair’ article. There are two scenarios to think about here; the soggy Christmas dinner and the commercial disaster. Before we discuss the soggy Christmas dinner, let’s explore the latter. You are the manager of a local supermarket. At the top of the list, you need to make sure the store stays open every minute it’s supposed to. The very idea of closing the store to fix problems that could have been solved a while ago is not a road you want to go down. When running a store, there are many things to think about; store standards, compliance, health and safety, payroll, shortage of staff, customer service, upholding company brand, stock control, meetings and reporting to the area manager. The list could go on longer, but let’s look at the first item again; store standards. This encompasses a wide range of tasks, from general tidiness to maintenance. It is the latter that we are considering here. What must be maintained? Lighting, doors and windows, air conditioning, heating, water, toilets, guttering. Yes, guttering! Up high, these highly useful structures help keep your store in business. But, if you do not pay them the respect they deserve, the guttering will ensure it gets its own back and puts you in a position of having to close the store. A segment of gutter needs replacing. Unclear a blockage and debris. Waterproof coating and/or general repair. Gutter leaking overnight, causing pooling on ground and leaking into store, damaging stock. 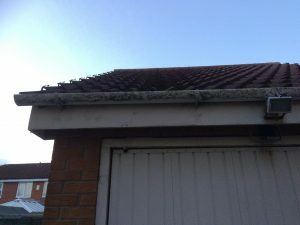 Removal of asbestos guttering and replace with safer material. Water running into stock room, ruining supplies. Water from guttering causes pooling in the roof cavity, collapsing the roof in the store, destroying contents. Water spillage from guttering has poured down exterior masonry and caused significant staining. A lack of a water repellency coating means that water has got into the store and damaged many contents and equipment. As you can see, if regular gutter repair and maintenance is not on-going, problems can mount up and prove to be very costly fixes. In domestic properties, picture this: Christmas day, turkey dinner and a house full of guests and presents. There are many things you have planned for to make sure nothing goes wrong on your special day hosting ‘a Christmas to remember’, but have you planned for everything? Remember the little leak you noticed earlier in the year from your front guttering and you made a mental note to get it fixed. Like many of us, I bet you never got around to getting it repaired. So now, as the sprouts are being placed on the festively-decorated dining table, you notice a patch of wet on the ceiling, towards the outer wall. A sinking feeling comes over you as you remember about that “small” leak from the gutter earlier in the year. Of course, not all gutter problems result in something this serious, but without proper maintenance, simple issues can turn into something costlier down the line. We’ll explore how to spot these issues and how to take care of them efficiently. Typically, leaks in PVC guttering are due to faulty seals where the clips are fitted. The clips on the fitting and on each fascia bracket along the length of the gutter apply a downwards force, pushing the gutter down onto the rubber seal that is located within the clip fitting. This downwards force compresses the seal, creating a watertight seal. It is sometimes the case that debris and weathering weaken the seals over time, causing a leak. In these cases, it is often advisable to clear and clean the guttering and replace the necessary clip fittings. Some environments still use asbestos guttering. Unlike PVC gutters, asbestos guttering needs a different approach. 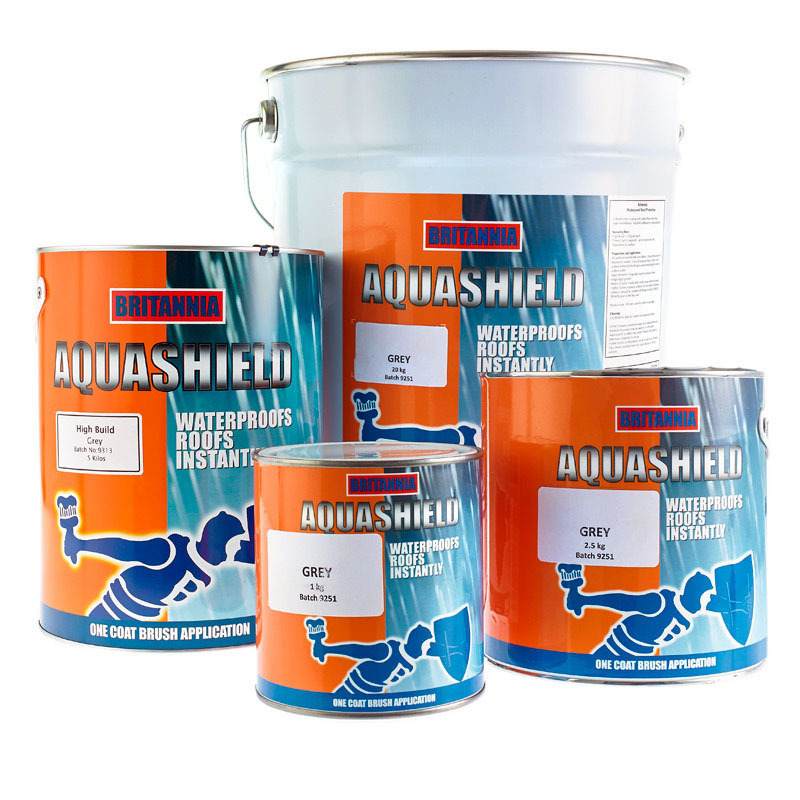 You will need a waterproofing solution that is tough and acts instantly, such as Britannia Aquashield High Build. Let’s look in more detail what this coating can do for you. (black, grey and solar reflective white), the Britannia Aquashield High Build coating will effectively seal joints and cracks in asbestos guttering systems. The best adhesion will come from proper preparation, so it’s important to ensure you clear the gutter of debris, dirt and other contaminants first. Once prepared, just apply this coating to the area in accordance with the manufacturer’s recommendations and you will have peace of mind of instant waterproofing, even without fully drying! Can be used to waterproof roofs. Suitable for use on asbestos cladding, concrete, brick, asphalt, bitumen, iron and steel. Contains added fibres that interlace to cover up small gaps or cracks. Suitable for general maintenance work. Solvent-based and for external use only. Clearing debris from asbestos guttering is not without its pitfalls. At all times, you should be careful not to break or split the guttering, as this could release the asbestos fibres. As a minimum, you should consider wearing protective clothing, goggles and gloves to give you additional protection. Always do your own due diligence and seek local authority guidelines before commencing any work. Despite the wide appeal of PVC gutters, metal guttering is still a very popular material of choice, in both domestic and industrial environments. This lead and gutter sealant by Sika is ideal for metal gutter repair. The low modulus solution makes this sealant a great all-rounder, and unlike conventional sealants, will not corrode or stain the metal – even soft metals! Excellent adhesion to metals Long-life solution that’s going to do the job it says it does. Low dirt pick up Cleaner surfaces make for better aesthetics and a longer-lasting seal free of contaminants. Excellent low and high (+150°C) temperature resistance Peace of mind that the sealant will stand-up to the bitter cold of winter and the high summer sun during summer. High resistance to plasticizer migration may be used over water based and solvent based paints. Extended shelf life – up to 24 months from date of manufacture If more leaks are spotted over the next couple of years, you don’t have to buy more sealant. As you can see, Sika Lead and Gutter Sealant offers terrific benefits to sealing leaks in your metal guttering and it is a terrific tool in your gutter repair arsenal. Relentlessly leaking gutters can sometimes leave unsightly stains on building walls and paving surfaces, such as concrete slabs, walkways, entrances and tarmac driveways. In a lot of cases, warm soapy water and a touch of elbow grease is enough to bring PVC back to its lovely shine, however for tough stains (particularly if crayon, lipstick, wax or grease has found its way onto the gutter), these special stain remover wipes will do the trick. The power of Hydron Part A Stain Remover is also useful for cleaning inside the gutter too. Clearing debris from PVC gutters is easy; just pick out the debris from the gutter and dispose of correctly in accordance with current rubbish disposal guidelines, as set out by your council. It is advisable to use waterproof gloves for this job as, at the very least, can be a messy job and at the other end of the scale, you don’t know what has fallen into the gutters; there could be glass or other foreign bodies that will cause you injury or harm. For guttering that drains off down onto commercial entrances, paved areas, driveways and car parks, it would be a good idea to use a block paving sealer such as Hydron Mona-Guard Block Paving Sealer, which will protect the paving from oil, pollutants which could work their way through the guttering system. This paving sealer is also water resistant, which will significantly reduce the possibility of water staining. Prolonging the life of your gutter doesn’t take a lot of work, but it’s important to follow some tricks of the trade to make your life easier. We’ve compiled 3 tips here for you to feast your eyes over to help with your gutter repair. Make monthly checks on the appearance and general maintenance of guttering. Take advantage of rainfall to look for leaks and be sure to check for any loose debris in or around the gutter area, particularly on roof tiles. During winter months or periods of turbulent weather, do these checks more often; once a week if possible. To fix annoying drips from downpipes, tie a piece of rope to one of the gutter hangers and let it run down the downpipe. Water will cling to the rope and significantly reduce the possibility of water flowing straight down. Be aware though that the rope might impact normal flow into the pipe, so be sure to check the guttering still functions as necessary. For commercial environments, metal downpipes and drainpipes make perfect hand and foot rests for vandals trying to access property grounds, such as supermarket loading bays. In such instances, this anti-vandal paint developed by Britannia will be worth your serious consideration. It creates a slippery non-drying coating to help deter vandals and trespassers. Gutters are at height and can contain material and debris which is slippery. Much care is needed to ensure your own safety, so if in any doubt, hire a professional. If you have any questions at all for our technical team, please do not hesitate to contact them on 0113 245 5450. Alternatively, you can send an email to [email protected], leave a message on this blog below or drop us a message on social media! We have a presence on Facebook, LinkedIn and Twitter.